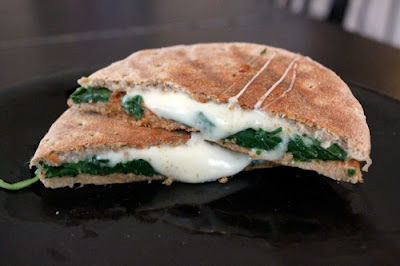 I came across this yummy picture of a cheesy pizza panini and it looked so yummy I had to try it. Now, I can't eat a lot of carbs, so if I was going to splurge on this sandwich it needed to be packed full of protean and veggies to make it worth my while. 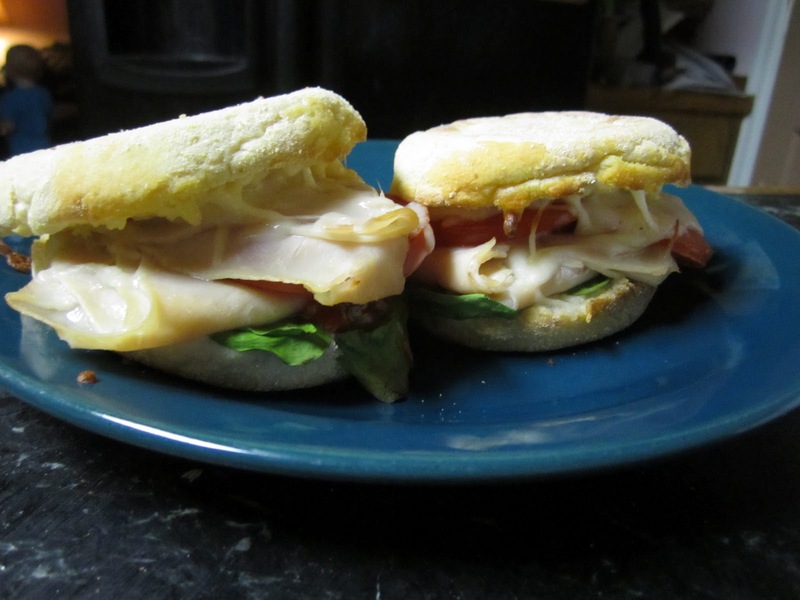 So first I cut the English muffin in half and buttered both sides. Why they call it an English muffin instead of a bun I do not know. Then I put a nice layer of cheese on one side. then on goes the spinach and tomato, followed by a nice big heap of turkey. I topped it all off with another layer of cheese and then placed it in the oven on a cookie sheet for 10 minutes on 400. Here is what mine looked like fresh out of the oven. They turned out a lot thicker since I put a lot more on them, but they were really flavor full and yummy and really good for you too only 25g of carbs. I would make them again.